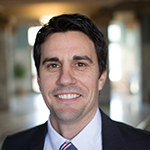 Chris Salcido is a Utah licensed attorney and founding member of Salcido Law Firm. Voted as a Super Lawyer by his peers (other attorneys and judges in Utah), Chris has a reputation in the legal community for professionalism, integrity, and expertise in multiple areas of law. 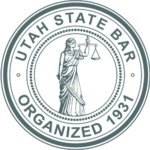 Known mostly as a zealous advocate in family law and criminal defense, he represents clients all of the state of Utah. Chris manages a team of attorneys representing individuals in divorce and family law, criminal defense and DUI, personal injury and medical malpractice, bankruptcy, and more. Chris Salcido is rated a Superb Divorce Attorney on Avvo with the highest rating of a 10. A primary mission in his legal practice, Chris is dedicated to helping families get through divorce and other difficult family legal matters. Few things are as life changing as a divorce or custody battle. The rights we have to our children are paramount and enjoy special protections under the law. Chris is committed to protecting children through a divorce, paternity, protective order, or related proceeding. Client’s often remark on Chris’s unique ability to bring calm to a high conflict family law matter. Whether you are facing a protective order, complex divorce, hotly contested custody fight, or any other related issue, Chris is well suited to the task. Many clients come to Chris when they are facing the “trifecta” of family legal issues (domestic violence, protective order, and divorce). With unmatched experience in both criminal defense and family law, Chris is uniquely qualified to resolve all the related legal matters a client in this situation may be facing. To speak with Chris about any family law matter you may be facing, call anytime at 801-413-175. He provides free consultations by phone, or you can schedule a face to face and decide whether Chris and his associates make the right team to tackle your case. Chris Salcido is rated a Superb Criminal Defense Attorney on Avvo with the highest rating of a 10. Inspired by John Adams and his willingness to represent those who stood accused in the Boston Massacre, when no one else would, Chris feels it his calling to defend those accused of crimes and facing the penalties of the state. In doing so Chris seeks to be a force in defending constitutional rights, upholding the rule of law, and keeping government accountable to the people. 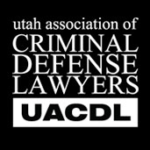 Chris has a reputation as a rising star in the criminal defense system in Utah. Chris has represented clients accused of almost all types of crimes in both state and federal court. Whether you are facing a serious felony matter such as aggravated assault, drug distribution, homicide, arson, burglary, kidnapping, sexual crimes, felony DUI, etc., Chris’s can represent you through the process in superior fashion. You would also benefit from Chris’s expertise if facing misdemeanor charges such as marijuana possession, retail theft, domestic violence, minor’s consumption of alcohol, DUI, and related matters. The bottom line is this, nobody will put more time, passion, and energy into defending you than Chris. 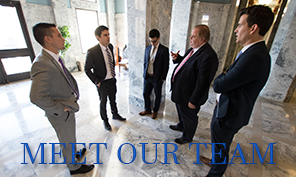 Prior to co-founding Salcido Law Firm, Chris practiced complex commercial and civil litigation with a law firm in Salt Lake City, focusing his practice on the representation of injured victims in personal injury and medical malpractice suits. Chris has been involved with some of the larger personal injury and medical malpractice verdicts in Utah. Chris’s past experience also includes the representation of small to large corporations as a corporate and business attorney. Chris has considerable experience and knowledge in the representation of tech companies and start-ups. In addition to his legal practice, Chris has maintained a commitment to teaching legal and general education courses at colleges throughout Utah. Chris has taught college courses in American History; Philosophy; Logic & Critical Analysis; Humanities; Probate Administration & Estate Planning; and Evidence. Chris is committed to giving back to the local community. Chris served as a member of the Utah Army National Guard for several years and is a decorated veteran of Operation Enduring Freedom, Afghanistan.